After work today I came home to find a package delivered to my house which included samples of the new I Roll NY shirt design and color ways. I immediatly ripped the plastic seal and took them over to my friend Erik’s house/studio to get some shots of them. 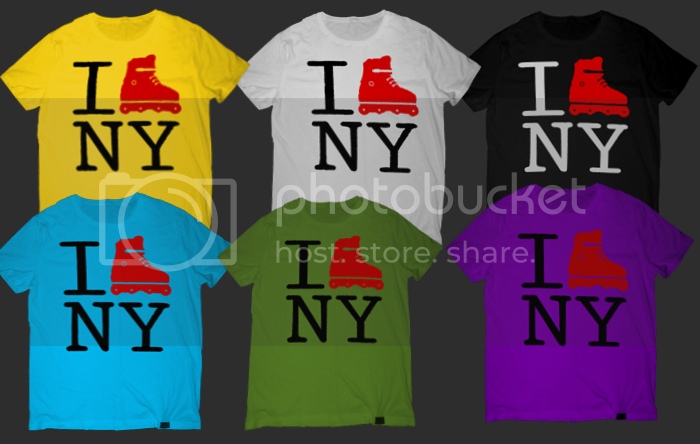 As you can see above the shirt now features the updated boot design and there’s more colors to choose from. More pics and updates on the shirts will be up soon. Thanks again for the pics Erik! This entry was posted on June 29, 2009 at 7:17 PM and is filed under Clothing, Pics. You can follow any responses to this entry through the RSS 2.0 feed. You can leave a response, or trackback from your own site.